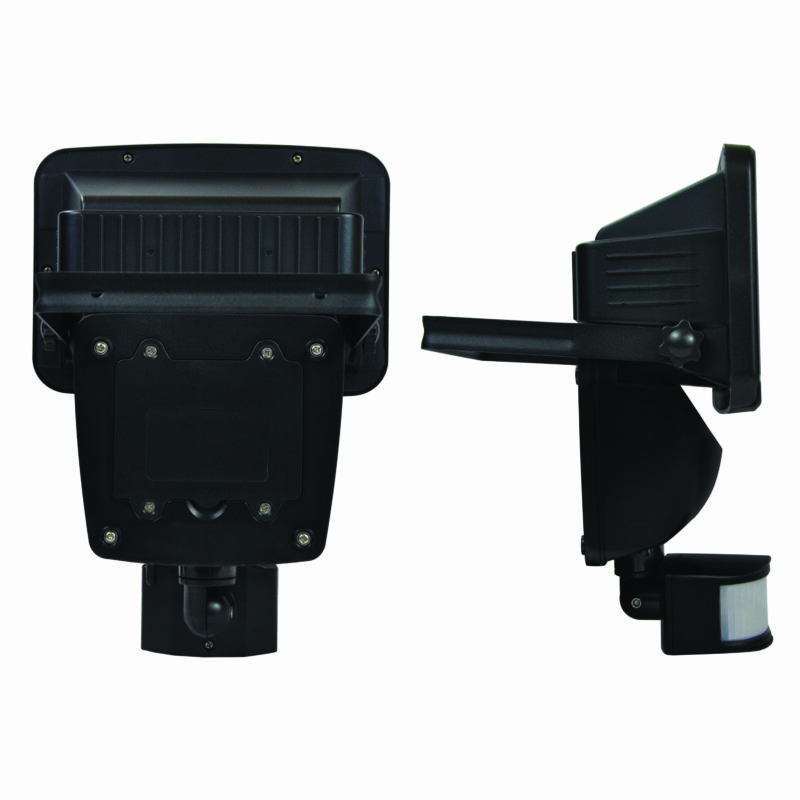 120 LED Solar Motion Light - SunForce Products Inc.
Use the power of the sun to light dark areas and add extra security with the Sunforce 120 LED Solar Motion Light. 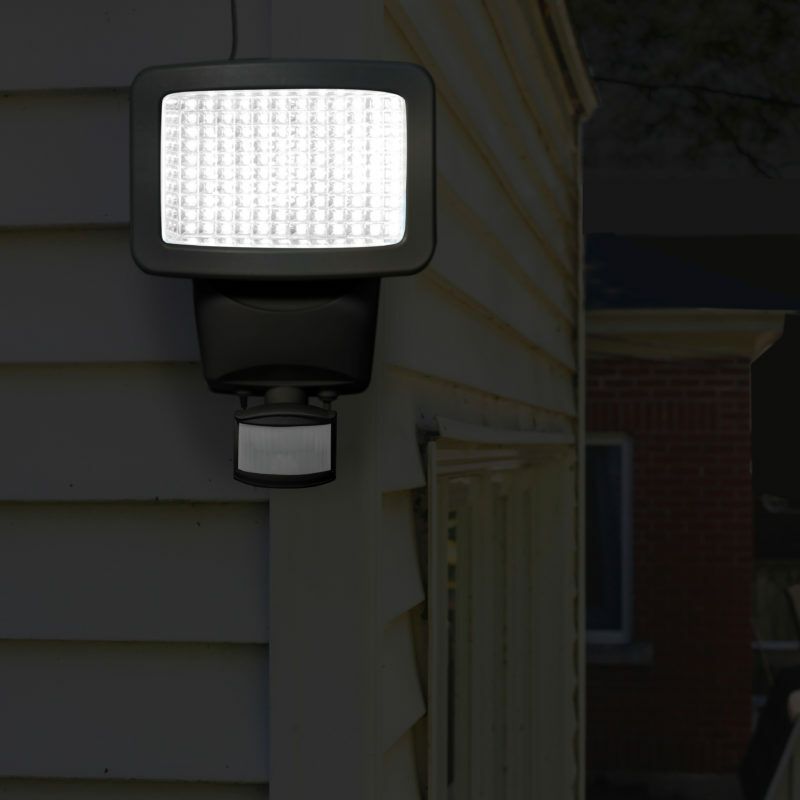 This light automatically turns on when motion is detected and comes equipped with 120 super-bright white LEDs, ensuring reliable lighting power for whenever, wherever you need it. Where should the solar panel be mounted? Mount your solar panel in a position that will enable the most amount of light to be absorbed. In the Northern Hemisphere this is usually south facing. Does the solar panel require direct sunlight to charge? The solar panel can charge the internal batteries in direct and indirect light. For best results, try to optimize your solar panel’s sun exposure. Can I tilt / rotate the solar panel on its base? Yes, the solar panel can be tilted and fully rotated. You may need to exert a bit of force in order to pivot the panel for the first time. 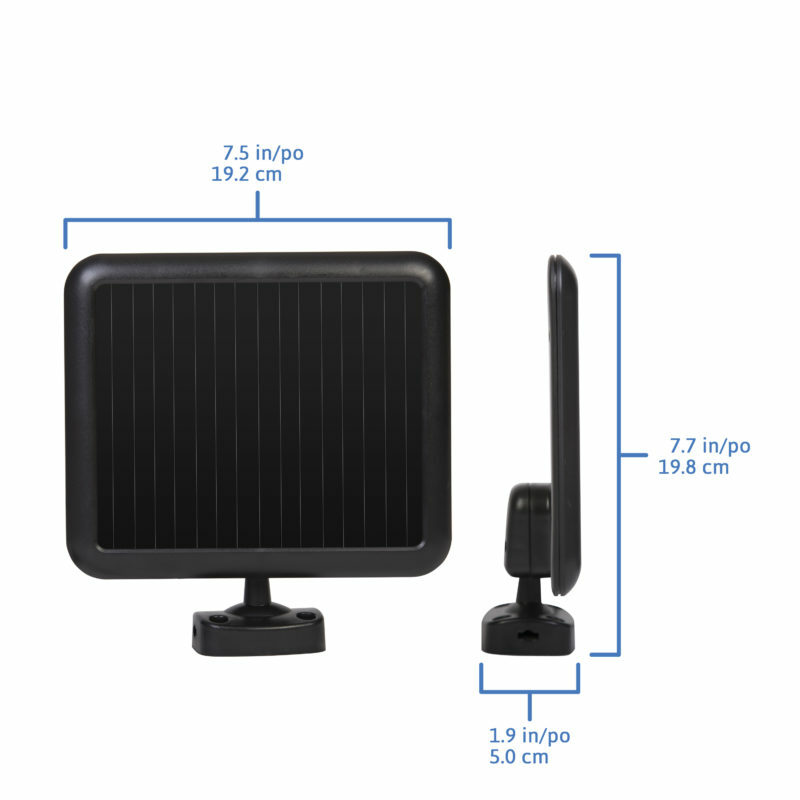 Can additional or extended cable wire for the solar panel be purchased? At this point there are no extensions available for the cable that connects the light to the solar panel. Any additions to the cable will void the warranty. Why does the solar motion light appear to "strobe" or flash? A rapidly flashing light is caused by undercharged batteries. Turn the solar motion light to the "OFF" position and charge for two full sunny days to bring the batteries to full charge. After two days, return the switch to the "Auto" position. Will decorative or street lights have an effect on the motion sensor's ability to operate? 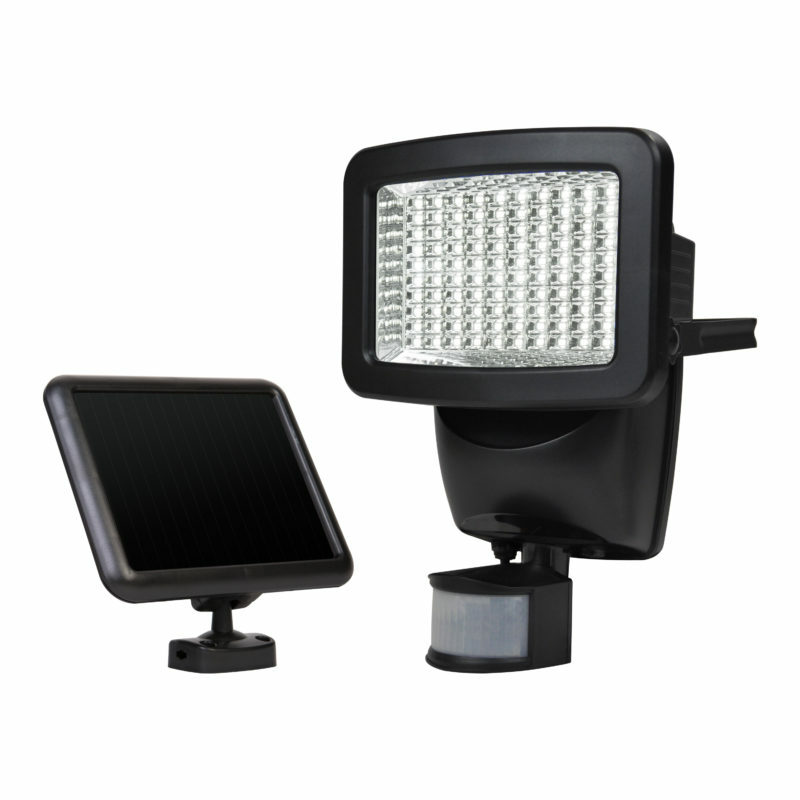 Yes, the sensor of the solar motion light is light sensitive. 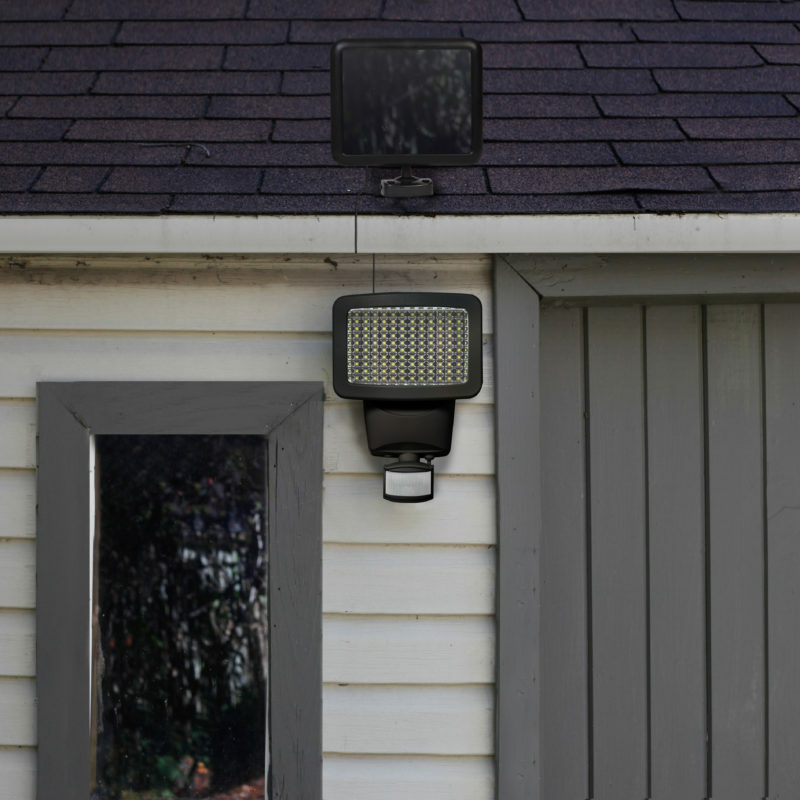 For nighttime usage, ensure no other light activates the motion sensor. 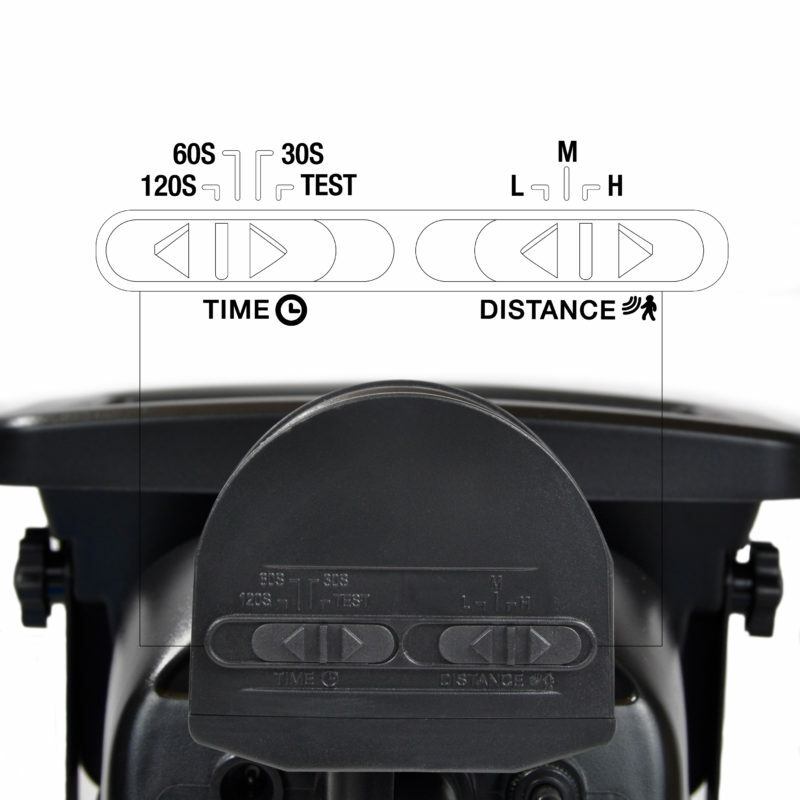 What type of battery does my solar motion light require to operate? 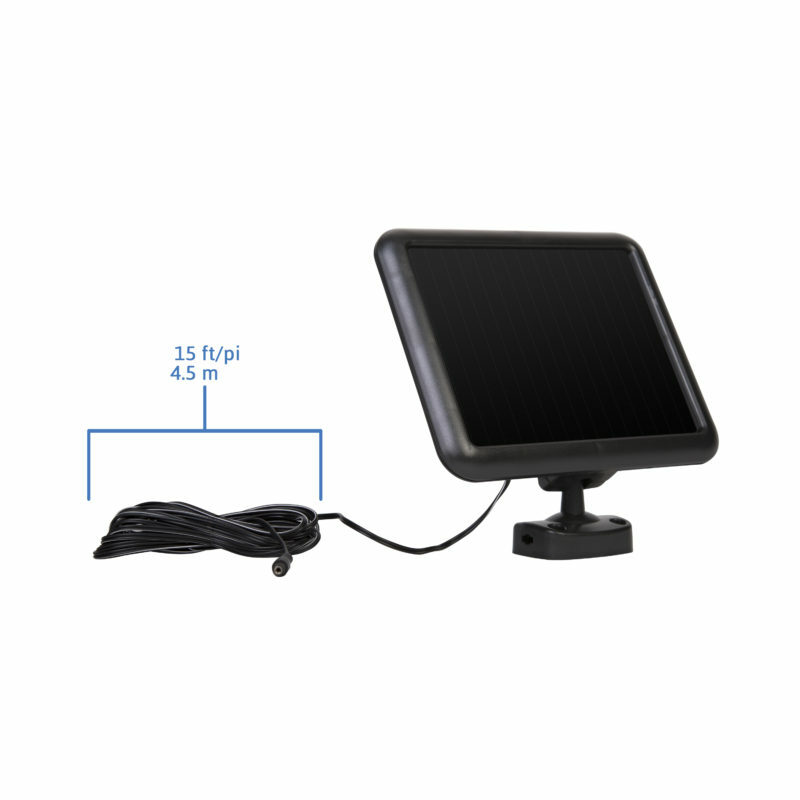 Your solar motion light requires the use of 3 AA Ni-MH rechargeable batteries. Is this product covered by a warranty? Yes, this solar motion light comes with a 1-year limited warranty. © Sunforce Products Inc. 2019.